Learning Circle Preschool Open Houses, Dec. 9th, 9 a.m. and Dec.10, 7:30 p.m. The Learning Circle Preschool and Kindergarten offers visits to prospective parents. 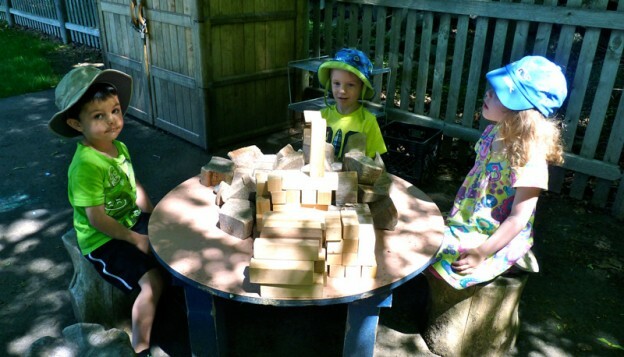 The Learning Circle Preschool, a non-profit preschool and kindergarten program at the foot of the Blue Hills on the Milton/Canton border, is offering prospective parents and their children the opportunity to visit its facilities at 3 Blue Hill River Road, Canton, MA. The visits, held during school hours, give parents and children a chance to meet with director Katrina Selawsky, to talk about each family’s specific needs, and to see the classrooms while children are in session. Learning Circle Preschool, accredited by NAEYC (National Association for the Education of Young Children) offers morning programs with two, three, or five-day options, afternoon enrichment programs, and extended day options that run until 4:30 pm five days per week. Facilities include three state of the art, open, sunny and spacious classrooms, a welcome room with library and a spacious playground at the foot of the Blue Hills, a short walk from Brookwood Farm. Class sizes typically range from 10-14 students, each with two highly qualified and experienced co-teachers. Decisions about placements for the fall of 2015 will begin to be made in December. Families that would like to consider a January start can make individual plans for a transition into the program then. For more information or an appointment, please call Katrina at 781-828-4800. This entry was posted in Special Events and tagged education, kindergarten, preschool on November 17, 2014 by Katrina Selawsky.